Acorn Answers – What is Palladium? 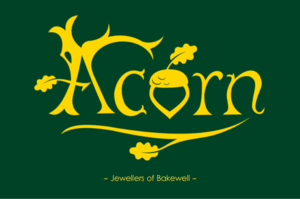 Posted in: Acorn Answers, In Love with Jewellery	–	Tags: Acorn Answers, answers, married, palladium, questions, specialists, wedding, wedding rings, which ring is right for me? In our ‘Acorn Answers’ blog posts we’ll help you to decide on the perfect jewellery for you by sharing our insider knowledge and top tips from the jewellery world. In this post we’re going to chat about Palladium so put the kettle on, grab a biscuit (or two) and settle down for a nice read. If you have further questions about Palladium, feel free to Contact Us and ask away! Used in jewellery since 1939 Palladium experienced a surge in popularity in 2010 when it received it’s own hallmark. It is most frequently hallmarked as Palladium 500 and Palladium 950. In Palladium 500 for each 1,000 parts 500 are Palladium and the other parts are made up of different metals meaning that your ring is 50% Palladium. In Palladium 950 for every 1,000 parts 950 are Palladium and 50 made up of other metals meaning that 95% of your ring is Palladium. At Acorn we use the more precious 950, it’s a ring that you will wear all day every day so why not treat yourself?! Palladium is a part of the Platinum family but is more abundant so the price is lower. It has many of the properties of Platinum, it is naturally White meaning there is no need for a Rhodium plate (read more about this in our White Gold Blog). Although softer than Platinum, Palladium is also very tough and durable so a good choice for Wedding and Engagement Rings. Palladium is the least dense of the metals in the Platinum family and shares many of the same chemical properties of Platinum, it is naturally hypoallergenic which can be helpful for those who are prone to sensitive skin or allergies. If it is scratched, the metal simply displaces and can be polished to bring back a nice shine, although we believe that those little scratches and dents are all part of your Wedding Ring journey. Over time Palladium will develop a natural patina. Many people like to keep the slightly darker colour however if you prefer your beautiful ring can be polished back to a nice shine. You can keep your Palladium clean at home by polishing with a soft, dry cloth such as one you would find in a glasses or sunglasses case and to avoid dents and scratches you may want to remove your ring whilst carrying out heavy work. We offer Wedding and Engagement Rings in Palladium, many set with Diamonds or gemstones. It’s one of our favourite metals and looks superb as a Wedding Ring suite. We can also apply a matt finish to our Palladium rings if required, often this provides a more contemporary look. Whichever style you choose we are sure to have a Palladium ring for you to fall in love with. Have a browse through our collections and begin your Wedding Ring journey today at Acorn.